Apart from her bestselling Home Before Dark, a biography of her father, John Cheever, and My Name Is Bill, her penetrating portrait of the founder of Alcoholics Anonymous, Susan Cheever's most recent and major success, American Bloomsbury, was a hugely popular nonfiction narrative of the writers and artists (including Emerson, Thoreau, and the Alcott family) of Concord, Massachusetts. 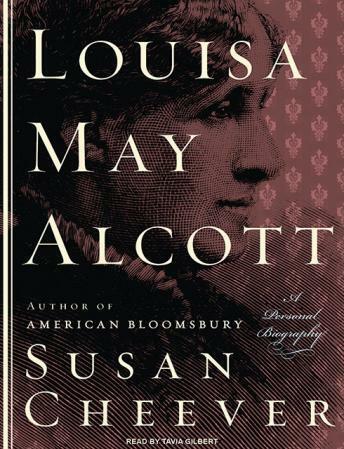 With more than 35,000 copies of the book sold since, Cheever has focused on the legendary and much-loved Louisa May Alcott. Every year, new young readers continue to fall in love with Alcott's work, from Little Women to her feminist papers. Based on extensive research and access to Alcott's journals and correspondence, Cheever chronicles all aspects of Alcott's life, beginning with the fateful meeting of her parents to her death, just two days after that of her dynamic and domineering father, Bronson. Cheever examines Alcott's role as a woman, a working writer, and a daughter at a time when Alcott's rejection of marriage in favor of independence-a decision to be no man's 'little woman'-was seen as defying conventional wisdom.